In order to design a hoodie sweatshirt, first of all the fabric material and quality must be decided. Will it be a thick fabric or a medium thick fabric ? Is it supposed to be elastane inside the fabric or not ? Will the fabric be with brushed or without brushed, etc.. These details should be considered according to your design.You need measurements for making the samples. If you have similar samples, you should provide them to your manufacturer. In order to make your own hoodie, you should also decide, if there will be print or embroidery ? There will be eyelets on the hood or just button holes? Labels and all the other accessories should be decided. While deciding the colours for all the details, Pantone numbers which are accepted internationally for all over the World can help you. If you don’t have one then you can search for the colours by using Internet. After you decide the colours you can provide them to your manufacturer and the manufacturer can work on the colour labdibs for you to choose the correct colour code. After all these processes done, manufacturer can begin the fabric process. When the fabric process finished, the manufacturer can begin making samples by using the original fabric with requested confirmed colours and measurements. Samples can also be requested with prints or embroideries on them.These are the main steps, which should be followed to give you a quick return for all the styles and models. In below you will find some questions that a manufacturer might ask. These questions can help you while making your own designs. Is this model for men, women or kids ? Brushed fleece or unbrushed fleece ? the weight of the fabric will be 280 gsm or 320 gsm ? Which size will be produced for sample ? Do you have a measurement chart or a sample which we will use for the measurements ? What should be the sample color ? Will the hoodie be zip up? Are there pockets on the hoodie ? Kangaroo pockets or normal pockets ? If there will be eyelets or button holes on the hood ? Do you ask for print or embroidery on the hoodie? What should be the dimensions of print or embroidery ? What should be the position of the print or embroidery ? What should be the colour of print or embroidery ? When all these questions be answered, the manufacturer can begin the process. Konsey Textile is custom hoodie manufacturer in Turkey. We can help you for you all kind of hoody designs. First of all, I want to talk about the meaning of MOQ to give information for the startups. At least expected amount that is applied by the supplier and the customer to make profit is called "MOQ"
stopping the production and preparing for another product, changing the molds, washing the mixers are costly because it will cause the production to stop. For this reason, the amount of products to be produced in the production must be such that it should at least cover that costs. While producers try to keep MOQ high, customers want to reduce this amount because a high MOQ causes the customer to hold a lot of stock. 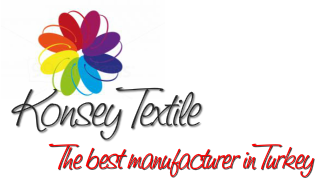 Konsey textile is a garment producer which has many years of experience in clothing manufacturing services. Our producction quality is above world standards. Moq for production of Tees and Polos: 100 pcs for a single color of a model. Moq for production of Hoodys and Jumpers: 250 pcs for a single color of a model. Moq for production of Knitwears: 250 pcs for a single color of a model. Moq for production of Sweatshirst: 100 pcs for a single color of a model. Moq for production of Jeans: 250 pcs for a single color of a model. Moq for production of Shirts: 200 pcs for a single color of a model. Moq for production of Boxer: 150 pcs for a single color of a model. Moq for production of Socks: 150 pcs for a single color of a model. Embroidery size, Used Accessories, required packaging techniques other than standard packaging large sizes, minimum order quantity. We can help you to reduce production prices. With the help of our experienced acquaintances over the years, we will offer the most beautiful options that can be made to lower the cost of production. The customer should aim to choose the firm that produces the sample fastest. The faster the sample is produced, the faster the products enter the market. We are a company with the technical competence to produce the samples of our customers in the fastest way possible.. In order to start producing, it is necessary to complete the Technical Spec document which shows all the characteristics of the product or produce the exact same product during the sample process. In Tech Spec, the body measurements, fabric type and content (with grammage), pantone number for fabric color, yarn color to be used, sewing details, accessory, printing and embroidery details with the places to apply should be If the sample is more than one then the body size distribution should be indicated. (For example, Small 1, Medium 2, Large 1, XLarge 1). Bamboo is the main food source of pandas. It is also used in the textile sector. Bamboo fabrics are made from bamboo wood fibers. Antibacterial fabrics are produced using bamboo. Mainly on textile: men and women have an increasing usage area such as inner and outer wear, socks, blankets, towels, medical wear, bed linen, linen, curtains, food packaging. Bamboo has better properties than cotton. 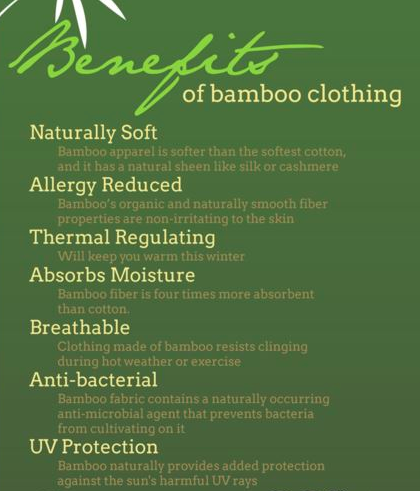 We advise you to consider bamboo fabrics for production for the following reasons. The picture shows how bamboo fabric is produced. Bamboo is a natural antibacterial feature because of its antibacterial substance content. Bamboo fabric protects this feature even after it has been washed many times. Bamboo fabric offers the closest softness to cashmere and silk. Air permeability helps the body to breathe. It has features like breaking ultraviolet (UV) lights. Bamboo fabric is very suitable for knitting or weaving operations. It can also be used in combination with other yarn types. When it is painted, it has a shiny appearance. It is widely used especially in bath towel and bathrobe production. Due to the fact that it is a fiber of cellulose origin, it finds use in sports clothes, underwear fabrics and outer garment fabrics. Konsey Textile is a bamboo apparel manufacturer for many companies all around the world. If you are thinking of producing bamboo clothes, please don't hesitate to contact us. If you have a question, leave a comment. We will reply it as soon as possible.